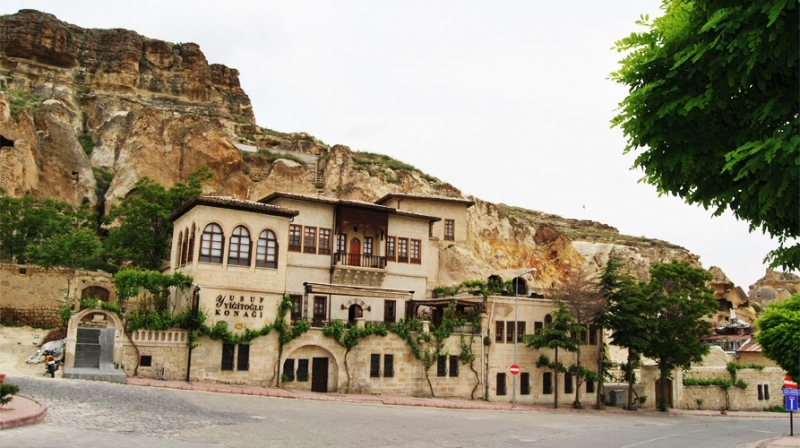 A cozy place that history, tradition and comfort meets.The restoration of the 19th Century built mansion was completed in 2003 and has been serving since then with its three houses tucked up into the caves of ancient Cappadocia.Melted in the same pot with all the efforts of ancient communities; Hittites producing the wine, St. Basil’s sharing, the Seljuk Caravanserais’ welcoming and Ottoman’s hospitality and so on… We look forward to host you at our cozy & relaxing hotel in Cappadocia with our 10 deluxe rooms and 4 suites. On the first and second floors of our hotel; you can explore our terraces that presents a cool seating. 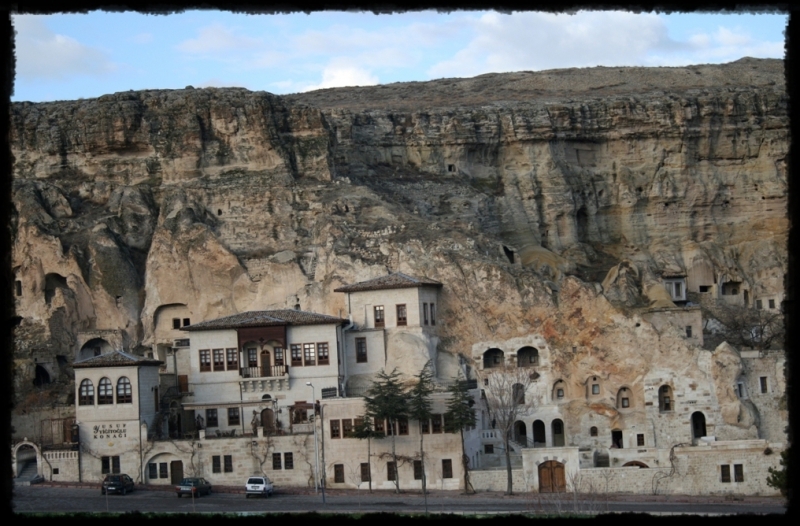 The terraces are unique in that it offers a beautiful panorama of Urgup town and some beautiful surroundings of Cappadocia with Fairy Chimneys and enjoy the real Turkish hospitality. © 2019 - Yusuf Yiğitoğlu Konağı the official booking site.